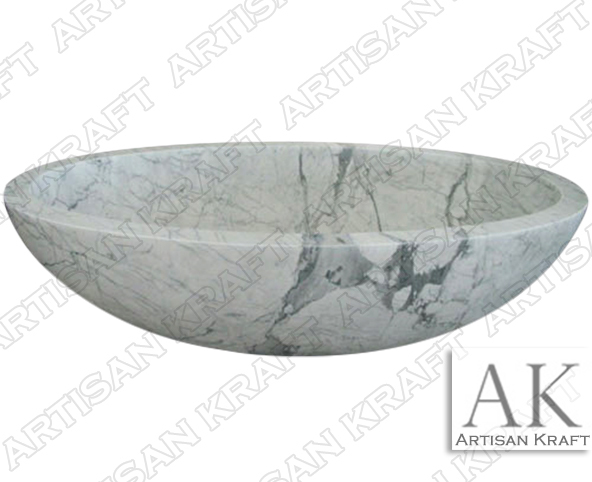 The polished and refined nature of this double ended oval tub is the perfect centerpiece to your master bath oasis. This bath is freestanding. Freestanding is a popular option when purchasing in stone or copper. This beautifully carved tub can be yours in other marbles as well. Enjoy the marble bathtub in a custom size that is fit for two. Rectangular options for the shape are an idea when space is of concern. Checkout more trending natural stone tub designs.